The travesty that is US immigration and border enforcement, plus its White House enablers, is unremitting. On Wednesday, The Guardian reported that Rosamaria Hernandez, a 10-year-old girl with cerebral palsy is at serious risk of deportation. Hernandez, who was born in Mexico and has lived in the US since she was three months old, was stopped at a Texas Border Patrol checkpoint while she was being transported from Laredo to Corpus Christi for a gallbladder operation. She was reportedly traveling in the ambulance with a relative who’s a US citizen. When agents discovered that Hernandez was undocumented, at the checkpoint en route to the hospital, they allowed her to continue on, but followed her and her family member the rest of the way. 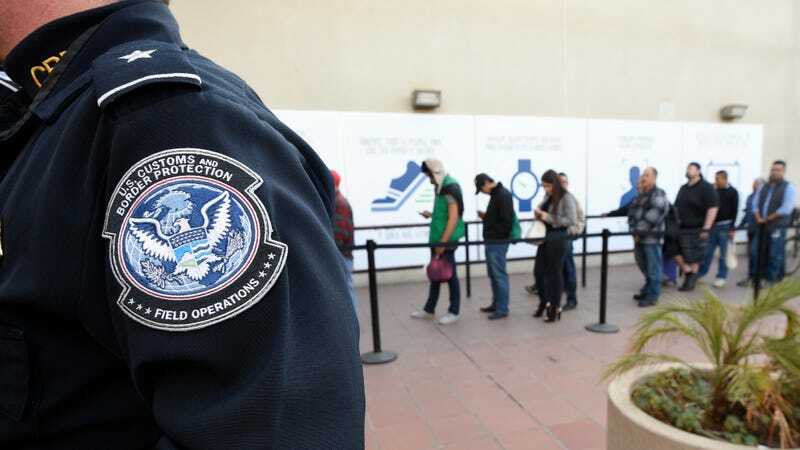 The Guardian reported that Customs and Border Protection officers were waiting outside the girl’s hospital room so they could take her into custody as soon as she’d recovered from the surgery. Later, the New York Times reported that, according to relatives and advocates close to the case, agents took Hernandez to a facility in San Antonio where migrant children arriving to the US from Central America are typically held. The agents reportedly took Hernandez to the institution, rather than home to her parents (who are both undocumented), living just 150 miles away. Hernandez’s mother, Felipa de la Cruz, said in an interivew, that the family had moved to Texas from the Mexican border town of Nuevo Laredo in the hopes that they could get better treatment for their daughter’s condition (Medicaid ultimately paid for her treatment). According to data recently released by Immigration and Customs Enforcement, immigration arrests have risen more than 40 percent since Trump’s inauguration. The Times reports that it’s “rare, if not unheard-of, for a child already living in the United states to be arrested—particularly one with a serious medical condition.” Rare, and, might I add, enraging. Another case in which the administration has forced its agenda of threatening and diminishing the livelihoods of those in this country who are already the most sick, most endangered, most prejudged—and it just goes on and on with nauseating persistence.